In response to AIS 140 standards set forth by Ministry of Road Transport and Highways (MORTH), Kerala Motor Vehicle Department (KMVD) released an overview of its AIS 140 implementation plans in Kerala at a pre-empanelment meeting held at Transport Commissioner Office, Thiruvananthapuram on 16th May 2018. Many executives in the Telematics industry attended the meeting. Given the approaching deadline (April 1, 2019) set by Govt. of India for the mandatory implementation of AIS 140 standard across the nation, it is now clear that KMVD wants to kick off the VTMS project with the first phase of GPS vehicle tracking system implementation on around 14,000 school buses in 2018. As a first step, KMVD intends to enlist Vehicle Location Tracking units (VLTs), which can be used in the school transport system, for enabling tracking and monitoring of the school buses in Kerala. The objective is to standardize the VLT data protocol and data format specification to meet the state-specific requirements and to support the vehicle owners to avail good quality VLT devices and superior after-sales services. The pre-qualification requirements for the manufacturer and the specifications for vehicle tracking unit firmware details are listed in the document viz., Vehicle Tracking & Monitoring System Kerala Implementation– Phase I.
Enlisting is for the devices, and as such, multiple devices from the same manufacturer will require separate applications for enlisting. Manufacturers must also arrange a registered agency or franchisee who is authorised to sell, install, support and service the VLTs in each of the four zonal regions (Thiruvananthapuram, Ernakulam, Thrissur & Kozhikode) in Kerala. The KMVD will publish the list of enlisted VLT models along with the details of the Registered Agencies on June 30th, 2018. KMVD would then send a circular to all registered schools in Kerala with a directive to implement GPS vehicle tracking systems along with the list of empanelled VLTs and approved Registered Agencies. The school bus/fleet owners will be advised to procure only the enlisted GPS tracking devices/VLTs. KMVD’s initiative, supported by Centre for Development of Advanced Computing, India (C-DAC), in rapid implementation of vehicle tracking systems across the transport sectors could prove worthy to the optimal management of nearly 3.5 lakh km of the road network and traffic that involves almost 10 million vehicles on the road. How C-DAC ended up with KMVD? In 2016, based on the requirements put forward by KMVD (notification dated 3rd Feb 2016), C-DAC had developed a set of protocols and backend system setup for tracking public transport and commercial vehicles in Kerala, for approximately 9 million vehicles (based on Kerala motor vehicle registration details) registered under KMVD till 2014-15. Respective Regional Transport Offices (RTO’s) had been given the authority to monitor the implementation and operations. However, following the notification from MORTH to enforce AIS 140 GPS vehicle tracking implementation on all public and commercial vehicles, the State Govt. of Kerala and KMVD had to keep the project on hold and wait for the new set of standards. And, the cue is now with C-DAC. Being a new set of standards, it’s quite apparent that AIS 140 brings out quite a few concerns, challenges and loopholes that need continuous improvement after implementation. With experience comes exposure. And, that’s what C-DAC had; an accurate understanding of standardization of VTU specifications & Firmware protocols, even empanelment of devices and enlistment of vehicle tracking service providers. It was all a matter of identifying and learning the new set of standards for C-DAC, the close ally of KMVD. C-DAC quickly popped out with sharp observations on AIS 140 being the optimal set of standards, but its bulky protocol appears to consume huge data storage space which consequently points out a scenario where State Governments would have to go for an upgrade in their back-end set up that may take several months. An alternate option is cutting down the storage of historical data, which doesn’t seem to be a viable move. Hence, C-DAC started working on developing a hybrid protocol blending their previously designed & tested protocol and AIS 140 standards, making sure to keep the following protocol intact, with no compromises made whatsoever. Without taking so long, MORTH & ARAI approved the new protocol to be tried & tested that could cut down the original storage space to 1/3rd. C-DAC’s hybrid protocol could help KMVD to gather and process more data offering meaningful insights on vehicle usage more than what AIS 140 proposed, viz. alert while entering no-go zones. Not just limited to that, implementation and operations costs will go down dramatically too. Once after carefully monitoring the successful implementation of C-DAC protocol in KMVD’s Kerala project, MORTH may even consider C-DAC to be the first of many choices in implementing the entire back-end setup (protocol + system engines) throughout the country for vehicle tracking, thanks to their innovative methods and widespread presence. However, this sounds all hypothetical and too early to forecast. How KMVD plans to get this done? The primary factor that KMVD considers is to ensure guaranteed performance to end users, with high-quality vehicle tracking unit (hardware) and the software. Registered agencies (VLT providers) will have to set up offices in 4 different zones at the first phase: Thiruvananthapuram, Ernakulam, Thrissur, and Kozhikode. Later on, extending their services to 18 RTO locations in Kerala as the project moves into further stages. KMVD aims to complete vehicle tracking implementation in all the proposed sectors by April 2019. Ideally, Kerala will be the first state in India to get the standards implemented by the deadline, starting with a first phase dedicatedly focusing on the transportation system of schools, with a much promising goal to create a safer environment for children. School bus owners will enjoy guaranteed support within the state of Kerala, adhering to the primary requirement that any device related issue must be dealt and resolved within 48 hours by the registered agency. 5. Emergency buttons should be fitted in a location easily accessible to the Person (driver/passenger) intended to use it. In public transport vehicles like buses, emergency buttons should preferably be fitted on the vertical pillar above the window rail below, the luggage rack. 1. How many devices went faulty? 2. 2. Were the issues rectified or devices replaced within the specific time window of 48 hours. If not, how many and why? 3. Which of the agencies offered terrible/worse services? How AVLView progressed on KMVD initiative? We, at MapView Geographical Solutions Pvt. Ltd – with our fleet automation system AVLView, have been one of the listed registered agencies in KMVD’s earlier initiative (in 2016). Having successfully implemented and met all the requirements put forward by KMVD then, our team worked rigorously again and submitted a VLT device, NAVI-TRACK 257, following all the latest guidelines. And, MapView Geographical Solutions Pvt. Ltd is now one of the most preferred VLT device vendors in KMVD’s first phase of AIS 140 implementation. 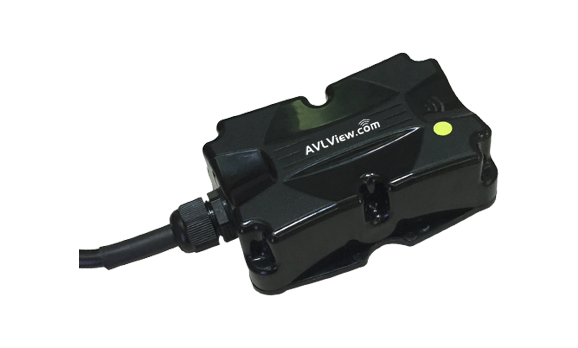 In addition to the AIS 140 compliant devices, AVLView has school bus tracker app to help schools to make the most of route efficiency and fuel mileage. The school bus tracking for parents can help with student safety from monitoring the speed of the school bus to tracking when and where a student gets on and off the bus. 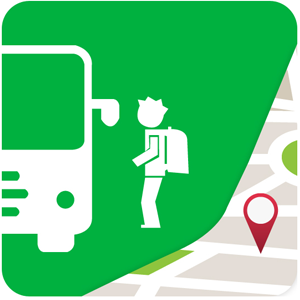 Here are some of the most significant advantages and benefits of school bus tracking. With high-quality AIS 140 GPS devices and a powerful fleet automation software ‘AVLView,’ we are far ahead of the competitors, augmented by a proactive support team that notifies you about the possible hiccups before you even start to think about it. We have also come up with various trade-in plans for existing customers and users of other GPS vehicle tracking providers; please contact us to schedule a live demonstration of the platform.